According to reports, the police officer kicked the woman after she warned him as he was kicking another woman on the ground. The incident was criticized after a video of the violence was recently released on social media outlets. 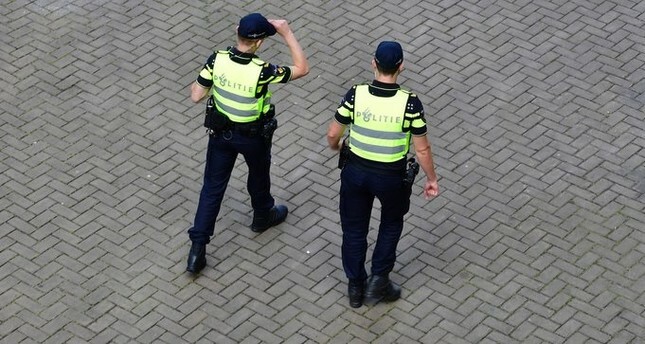 Dutch police said they would investigate the video recordings and that they are currently trying to reach the women seen in the video to shed light on the details of the incident. Worried about the increasing Islamophobic attacks in the country in recent years, Muslims have urged Dutch officials to take security measures not only in the capital Amsterdam but across the country. According to the European Islamophobia Report 2017, prepared by the Ankara-based Foundation for Political, Economic and Social Research (SETA), a rising wave of Islamophobia has taken hold in Europe. The report revealed 908 crimes, ranging from verbal and physical attacks to murder attempts, targeting Muslims in Germany, as well as 664 attacks in Poland, 364 in the Netherlands, 256 in Austria, 121 in France, 56 in Denmark, and 36 in Belgium.